EMMA Stewart’s horror association with the Inter Dominion has continued. During the past few seasons Stewart has had numerous representatives gain a berth in the Championship, only to be scratched or suffer career-threatening injuries. For example, Philadelphia Man was among the main chances in the 2015 Perth Final only to finish towards the tail of the field. The son of Art Major was subsequently found to have suffered a leg injury, which was among the causes that sidelined the stallion for 30 months. During the 2016 edition, also conducted in Perth, Stewart scratched her three runners after the first round when the trio showed varying signs of stress – including Yankee Rockstar which injured his hind leg. Sadly, it is a case of déjà vu for the record-breaking horsewoman who was forced to scratch Shadow Sax from this year’s Inter Dominion. 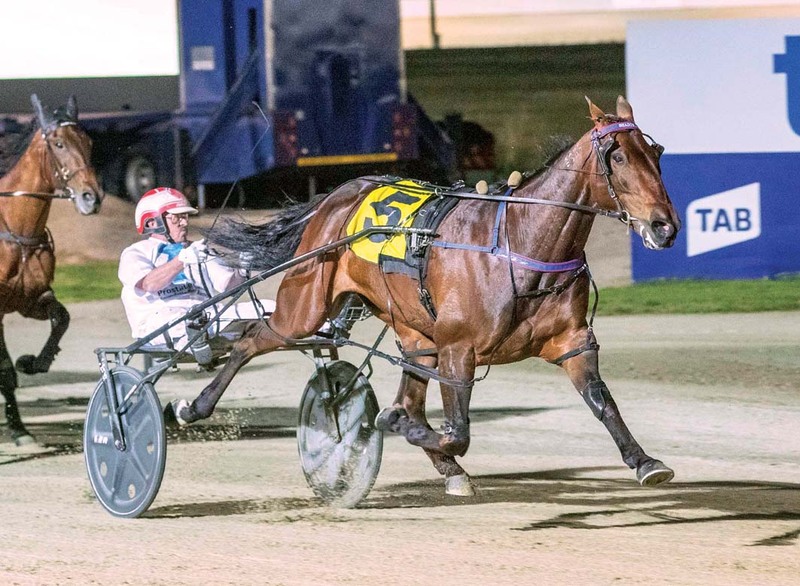 Victoria’s highest ranked contestant, Shadow Sax pulled up lame after finishing eighth – beaten only five-and-a-half metres – during the opening round at Tabcorp Park Melton on Saturday night. With the multiple Group One winner showing no sign of improvement this morning, Stewart made the tough decision just moments ago. “We’re not 100 per cent what the problem is, but it doesn’t look good,” Stewart explained. “We’ve had to scratch him as a result. Muscles are not Harvey’s biggest strength!